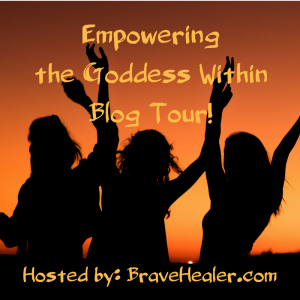 This post is part of the Empowering the Goddess Within Blog Tour hosted by www.BraveHealer.com! To read more entries and potentially win a fun prize, visit the tour page HERE, between September 9th and September 19th! How you move is a big part of who you are and how you feel about yourself! Think of an instance when you felt extremely happy. You just received some wonderful news or had an amazing day. You might not remember exactly what your body felt like at the time, but chances are you felt light and free, movement was effortless. Contrast that with how your body felt on a really crappy day. You probably felt heavy and tense, old aches and pains may have resurfaced, too. This is how your mood influences your body. But, the reverse is also true – your body influences your mood. Your posture and how you move has a huge impact on your feelings of self-worth. Your true self can’t shine through if you’re slouched over looking at the ground. If this sounds like you, it’s quite possible your body language isn’t projecting your authentic self to the world. But that’s simple to change! When we’re happy and feeling good, we move well and everything’s easy. And when things aren’t so great, movement has the potential to make you feel better. Whatever activity you enjoy … go do it. And if you can’t, even a short walk outdoors will lift your spirits. Don’t think too much about what to do, just move your body. Movement helps us get in touch with our emotions and our true self. Humans move because we feel and we feel because we move. Don’t underestimate the power of movement in your life. 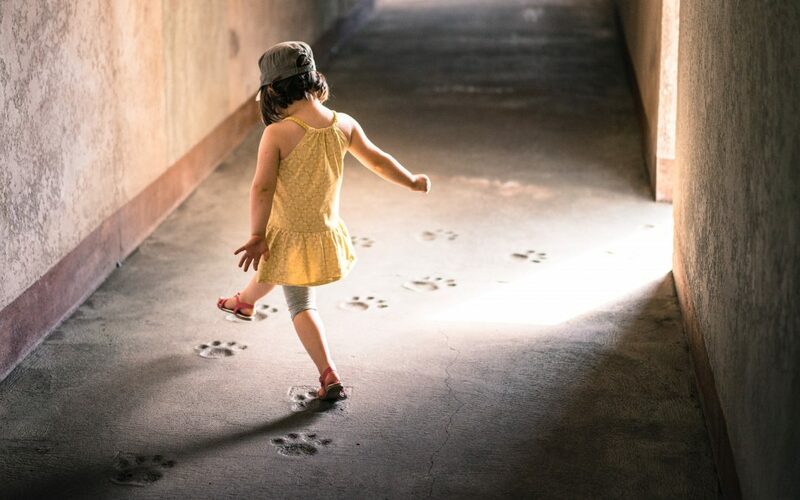 When you’re feeling out of sync or searching for your purpose, movement can be the inspiration you need to find your path. Running keeps me centered and, in part, defines who I am. When I run, I am connected deeply with my body, feeling the rhythm and strength within. It’s empowering! That feeling lets me know I’m alive and keeps me in awe of how truly amazing the human body is. My true essence flows when I run – I’m my authentic self to the core. And during times when I’m prone to a little self-doubt or nervousness, I draw on those feelings and sense of empowerment to help keep myself calm and grounded. Any soulful movement you feel deeply and that creates a feeling of wholeness is what will connect you with your true self. Dancing, cycling, martial arts, yoga, strength training … solo activities are ideal. Ones where you can get in the flow and get in touch with your inner power. And if powerful movement isn’t really for you, other types of movement are just as beneficial for focusing inward and cultivating clarity. Many of us find our center through creativity. Drawing, writing, playing an instrument, etc. These activities involve movement. 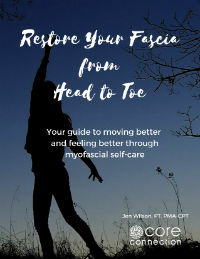 The motions aren’t as big as with whole-body activities, but, there’s still a connection happening through your mind and body giving you a feeling of flow – just not as sweaty (maybe). Once you tap into your awareness and notice how you feel when you’re moving and flowing freely -that’s the link to who you really are deep inside. This connection enables you to bring authenticity into everything you do. No need to try to act a certain way – BE YOU! Your unique self is awesome – let it shine through! To get started, look back at things you did as a child that gave you great joy. Was it physical activity, something creative or maybe both? Get back in touch with that side of you. Make it simple and start slow. Hit the hiking trails. Dust off that bike. Take an art class. Break out your old guitar. You get the idea … see what resonates with your soul! I know how easy it is to let this part of ourselves slide to the back burner when life gets busy and obligations take over. So, I’ve got a few tips for you to try on days when you’re pressed for time and in need of a mood reset. Click here for your free guide: 5 Mind-Body Ways to Boost Your Mood. Create time for things that fuel your entire being. Don’t lose yourself in the demands of daily life. Make nourishing your true self, your inner spirit, a priority every day. Being centered and grounded is essential for your health and happiness. AWESOME!!!! Thanks for being on the tour! Thank you! Glad to be part of it!!! You’re welcome – I’m happy it resonated with you! Movement is so key! I am 41 and just learning this now. Thank you! Thank you! Yes, movement makes it simple. That. Is. The. Truth. Our bodies are meant to move… so well presented here! Thank you for the insight. I always need to be reminded of this. Glad to help remind you 😉 – that’s what I do. Well said – it’s amazing how our feelings can change when we get moving. Thanks. Thanks – yes, it’s so true!